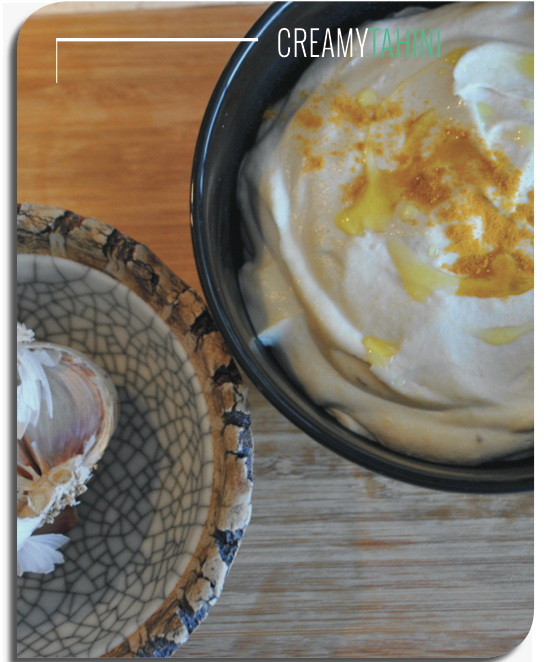 Before you walk away at the site of tahini (as I once used to) – you must know this. THIS is no ordinary tahini. Oh no no no. This is one of the most delicious things I’ve ever tasted. My co-author Andi created this beauty. It’s super easy AND it’s in our new book – Eat Fat, Be Lean! Here you have it! 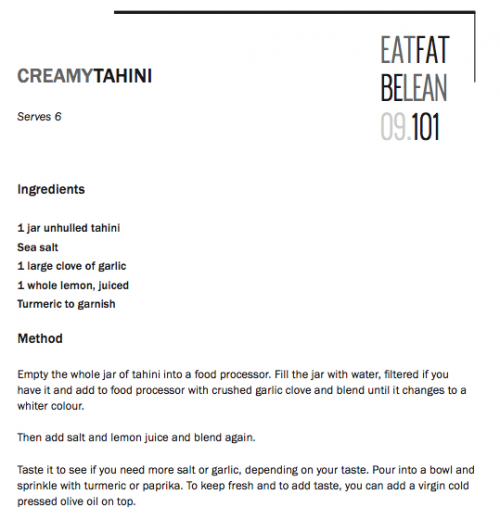 Creamy Tahini. Great recipe Nat! I watched you speak at the Utopia Women’s Wellness day last Saturday and I thought you were so great! I gained some really valuable knowledge from your session, plus I thought you were hilarious and beautiful 🙂 Congrats on the new cookbook.